Posted October 10, 2016 by Dr. William Myers & filed under Oral Health and Prevention. Our dental office in Warsaw wants to share a little known secret with you, and it’s something so easy, so common, and even may seem a bit silly, but can do wonders to help keep your smile healthy. It’s a straw. 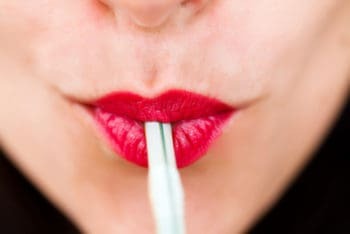 And when you choose to use a straw instead of sipping drinks straight from a cup, it can actually help keep bacteria and cavities from damaging your teeth. Learn more about straw power by digesting these interesting facts. Our Warsaw dental office is pleased to share them with you as another way you can help protect your teeth from decay. Your dentist in Warsaw does everything possible to help you keep your teeth healthy. We hope you will do the same. Using a straw is just another simple change you can make to your daily routine that could help benefit your smile. Don’t forget to brush and floss too! Accepting new patients from Warsaw, Winona Lake, Leesburg.